Especially given the potential for extreme abdominal pressure, bloating, and abnormally unpleasant discharge, when administering colonoscopies, empathetic physicians' overarching goals should coincide with patients' desired symptom-minimizing aspirations. To this end, in deference to Hippocratic Oath-inspired foundational professional principles, Water Immersion Technique (WIT) offers the absolute best, most innovative, and least intrusive preventative and diagnostic procedural option. Water Immersion Technique is the embodiment of the Hippocratic Oath, as caregivers administering it show true empathy for patients' comfort, normalcy, and overall state of being while concurrently providing the best care without, indeed, doing any harm. This manual is the embarkation on a doctor-patient journey to greater health, superior caregiving, and significantly-reduced discomfort, pain, procedure time, and disruption to patient normalcy in accordance with the Hippocratic Oath. WIT principles form the basis for a cohesive, galvanized and conversant team effort, as physicians and patients move toward a greater quality of life and a greater good. As WIT recipients go forth in happiness, peace, and prosperity, promulgating the benefits of this minimally-invasive technique, more people will choose to undergo this life-giving procedure, more pathologies will be treated, and more maladies prevented. As physicians hone their WIT skillset, they heed their imperative to heal, preserve patient dignity, and form a covenant of compassion, faithfulness, and trust with patients, going forth and serving humankind in good virtue, good courage, and righteous cognizance. 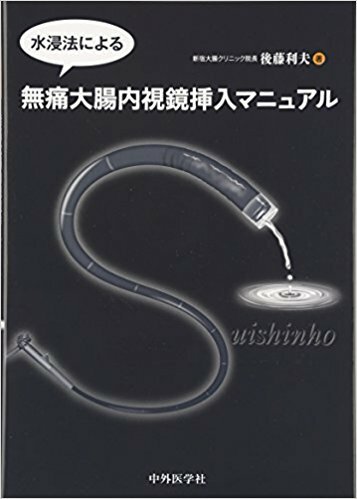 This book was originally written in Japanese by Dr. Toshio Goto <tgoto@mx2.nisiq.net> and published by a Japanese publishing company, Chugai-igakusya, on 2016/4/28. The original book had 5 chapters. Dr.Shina Horiuchi translated 1 and 2 chapters into English and send me the Word file on 2018/3/22. Hironori Iwamatsu, a member of Chugai-igakusya, after the company's discussion, allowed its internet publication on 2018/4/5. Thank you both collaborators. Without their help, these pages could not have be seen.